Bahrain have won on five occasions win while one match had ended in a draw. Talismanic striker Sunil Chhetri also echoed Constantine's words. 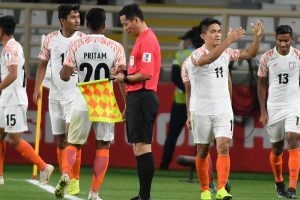 Sunil Chhetri fired in a brace, and goals from Anirudh Thapa and Jeje Lalpekhlua sealed a comfortable 4-1 win for India. India striker Jeje Lalpekhlua feels his "telepathic understanding" with Sunil Chhetri will help the Indian team in their campaign in the upcoming Asian Cup. 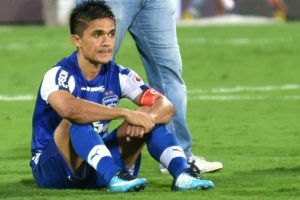 Sunil Chhetri removed as India captain due to rift with coach Stephen Constantine? 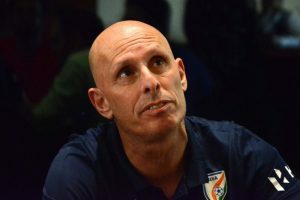 Chhetri wanted Constantine to be replaced by former Bengaluru FC coach Albert Roca. Bengaluru FC bowed out of AFC Cup after suffering a 0-2 defeat against Altyn Asyr FK of Turkmenistan in the second leg of their Inter-Zone semifinal at the Kopetdag Stadium. 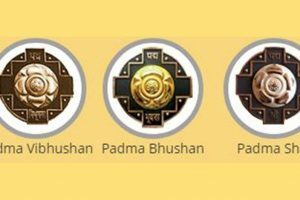 Sunil Chhetri, who is India's all-time highest scorer, was awarded Best Sportsperson of the Country. 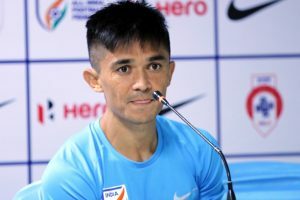 Sunil Chhetri's father played for the Indian Army’s soccer team and his mother Sushila Chettri played football for the Nepals' national women’s team. 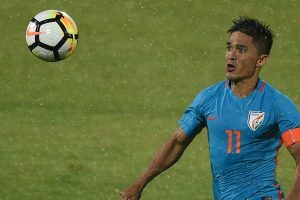 Indian football team captain Sunil Chhetri was named the 2017 All India Football Federation (AIFF) Player of the Year here on Sunday. 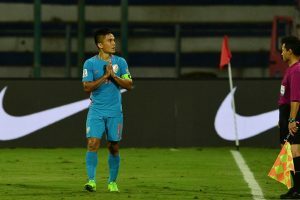 Continue reading "I am what I am because of my dad: Sunil Chhetri on Father’s Day"
How well do you know India's free-scoring skipper? 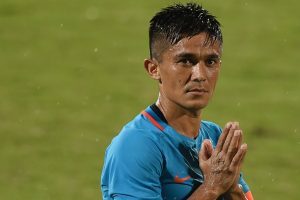 Sunil Chhetri has now equalled Lionel Messi’s tally of 64 international goals. Once in four years the whole world gets excited about the World Cup.